The mighty Wigan Warriors are using their muscle to help promote the benefits of digital health. The rugby league team are supporting a campaign by Yorkshire-based Inhealthcare to raise awareness of self testing. 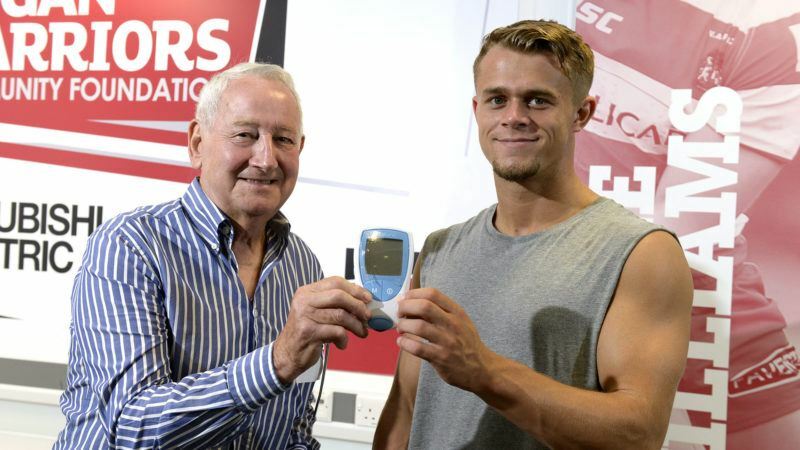 Inhealthcare’s new service for the NHS allows warfarin users in Wigan to monitor their treatment at home instead of having to go to clinic every fortnight. Patients are given a Roche self-testing device and test their blood from home. Readings are sent back to a nurse via a simple automated telephone call or email. Patient expert John Binks told attendees that self testing is “as easy as making a cup of tea”. The former BAE Systems manager has been using the new service since November. Danny Taberner, a 22-year-old university graduate from Westleigh, attended the event to find out more about home monitoring. He is using warfarin after having a massive pulmonary embolism while recovering from testicular cancer. The young man is keen to begin self-testing as soon as possible so he can pursue his career ambitions as a civil engineer. During the event, patients watched demonstrations by nurses, listened to a presentation by Mr Binks and asked questions about the free service. There was also a raffle to win five signed Warriors shirts. Inhealthcare teamed up with the Warriors to support two home games against the Castleford Tigers and the Wakefield Wildcats. Staff distributed leaflets to thousands of fans attending matches. Wigan Borough Federated Healthcare is offering the self-testing service to 4,000 warfarin users through 15 GP surgeries across the area. Angela Abbott, a nurse who runs the anticoagulation clinic at Shelvington Surgery, said: “The self-testing service gives more freedom to warfarin users. It is simple to use and full training is provided.